This Time Tomorrow was a Victoria & Albert Museum display at the World Economic Forum 2016 in Davos. 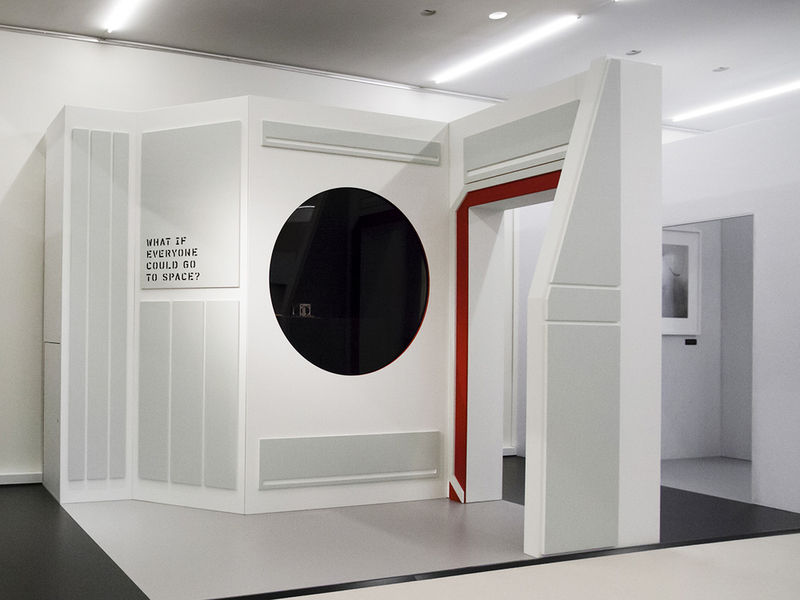 The exhibition featured artworks and design objects ranging from the scale of DNA to the distant horizon of outer space, forming a landscape of clues and questions about the world of tomorrow. 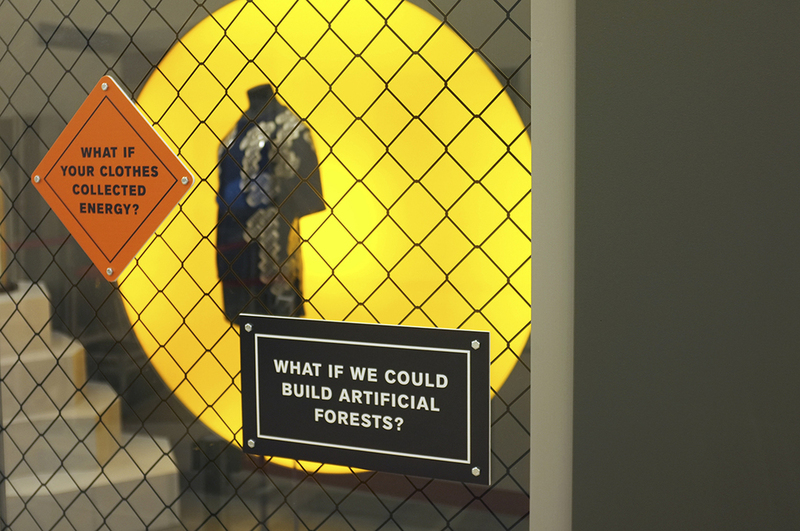 The projects on display presented the power of design to influence possible futures and posed questions about the world we can choose to create. Our exhibition design focused on a journey through scale in a series of six walk-through scenes. These scenes acted as stages for the various objects where connections could be made and stories could be imagined. Text was treated as a narrative prop and integrated into each scene, blurring boundaries between a museum exhibit and a more simulated space. 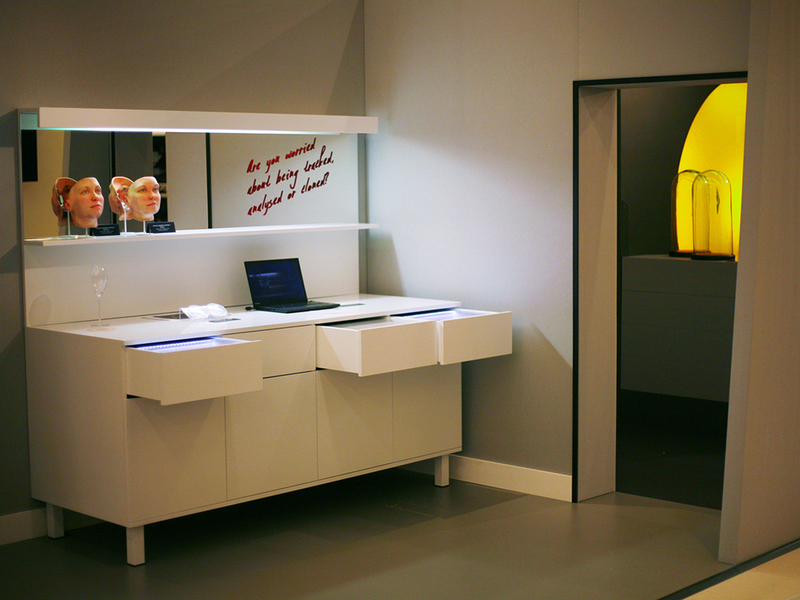 Questions placed within each scene probed at the implications of each design and invited visitors to engage and interact with the exhibition in greater depth. By expanding upon ideas of the diorama, we were able to house the works in vivid and dynamic environments while maintaining an open and investigative approach to the wider context of the exhibition.